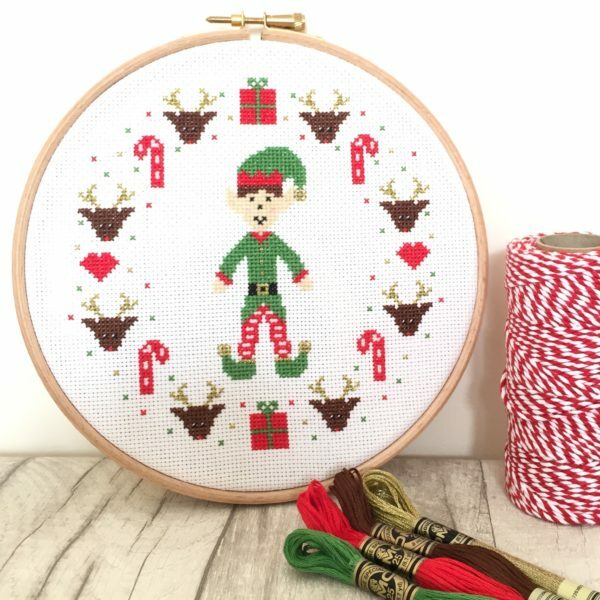 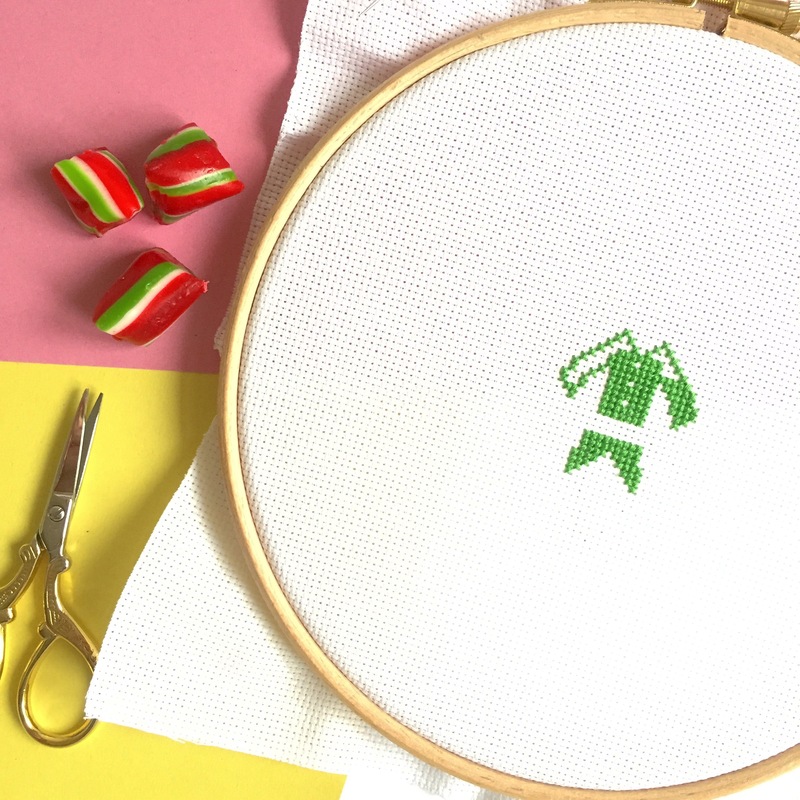 An adorable Christmas Elf is just the thing to bring out your Christmas Spirit and this Christmas Elf Cross Stitch Kit is bursting with Christmas Spirit. 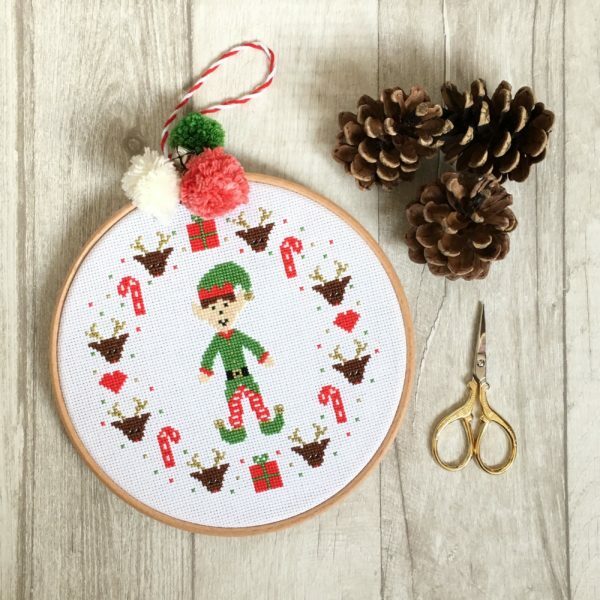 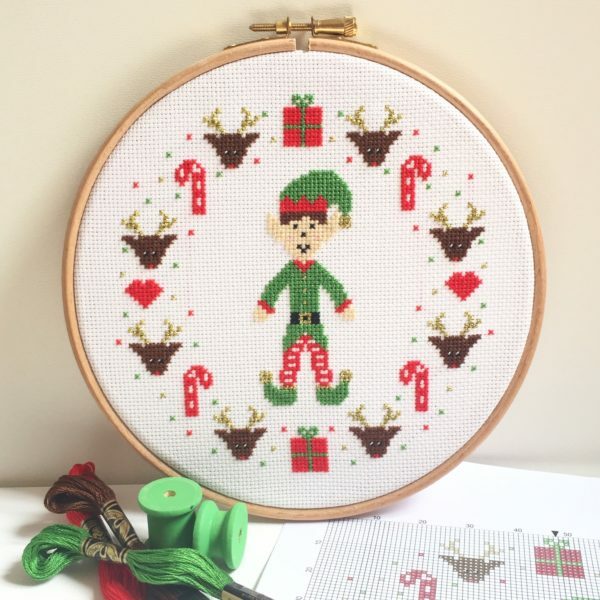 An adorable Elf is just the thing to bring out your Christmas Spirit and this Christmas Elf Cross Stitch Kit is bursting with Christmas Spirit. 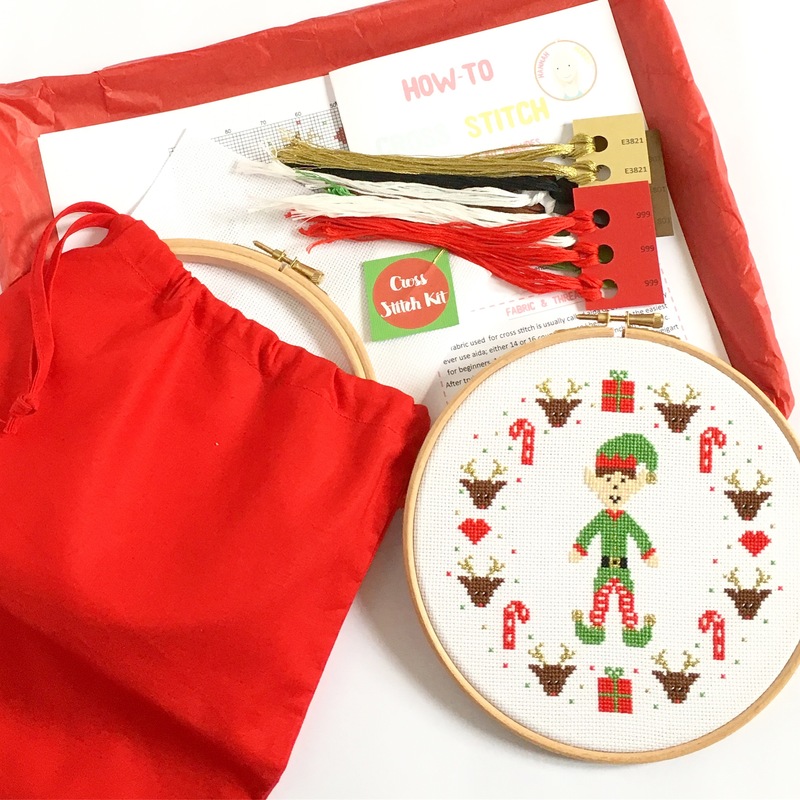 Stitch your little Elf through the holiday season; just pop on your favourite Christmas film, grab your hot chocolate, turn on the fairy lights and you have the perfect Christmas craft night. This design was inspired by the increasingly popular “elf on the shelf”. 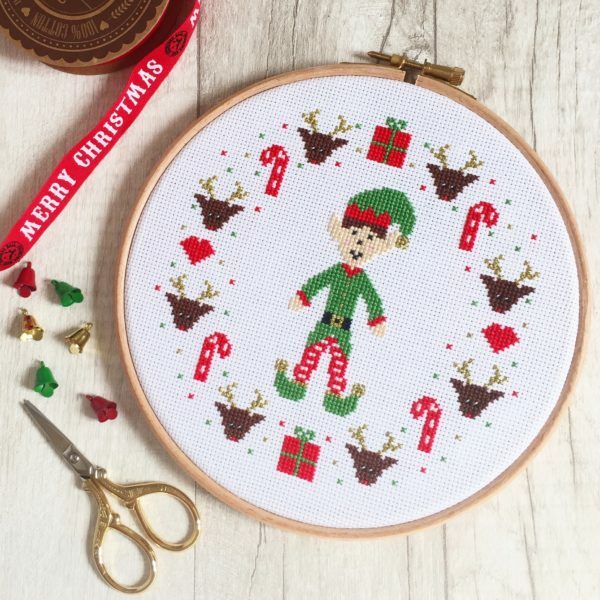 Personally, I’m not a huge fan of this (mainly because I don’t have the time to do the amazing set ups that other people do) but I liked the idea of having a little elf watching over us during the Christmas season. 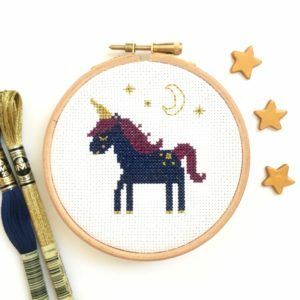 And so he was created! 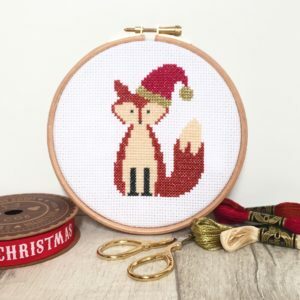 I’m going to let my kids name him; what will you name yours?